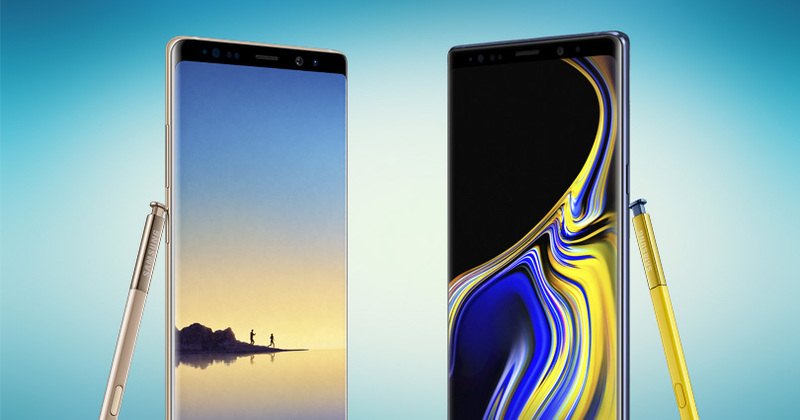 Samsung Galaxy Note 8 vs. Galaxy Note 9: Which mobile is best for you? The brand-new Samsung Galaxy Note 9 has been announced and, let’s be honest, it sounds snazzy. Packing an upgraded S Pen, some updated features, and a (slightly) larger screen, there’s a whole lot to love here. So, if you’re thinking about getting a new mobile, what’s the difference between this beauty and its predecessor? If you put the Samsung Galaxy Note 8 and Note 9 side-by-side, you may be hard-pressed to find many differences. 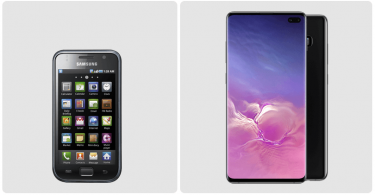 The phones look strikingly similar and it appears that Samsung has stuck with the successful design here. However, there is a difference when it comes to the size of the two Note series devices. Rather than getting smaller – which was once the trend – the Note phones have only got larger. 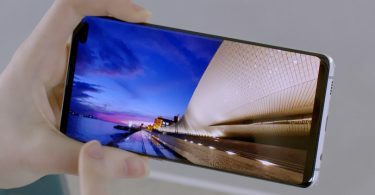 The Note 9 now weighs in at 201g, compared to the Note 8 at 195g. It’s not a huge change, but users might feel it. When it comes to Galaxy Note smartphones, it’s all about the display. The display on the Note 8 comes in at a whopping 6.3 inches, with the Note 9 larger still at 6.4 inches. 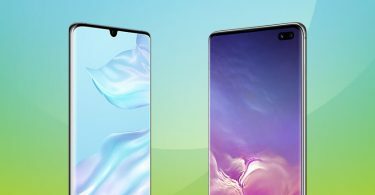 Both devices boast a Quad HD+ Super AMOLED screen and, the truth of the matter, is that you’re unlikely to notice much, if any, difference between the two in this department. The Note series of phones has always delivered when it comes to screen size and resolution, so you should have no complaints whichever you choose. One of the biggest upgrades when it comes to the additional features, is the S Pen. At one time, this was simply a mere stylus, but Samsung has gradually developed and improved on it, culminating in the iteration that is paired with the Note 9. The latest version of the S Pen is now Bluetooth-enabled and can serve as a remote control. You can use it to remotely take selfies, start and stop music, control presentations and other aspects of your device. Of course, with the S Pen on Note 8, none of the above is possible. Bixby has had a makeover. The AI is smarter this time around and can remember conversations as you’re having them. That means that you can ask multiple questions about the same topic and the assistant will recall what you’re talking about. Some features have remained the same. Both support wireless and quick charging. Plus, on both Note series phones, you get a fingerprint sensor on the rear of the device. However, on the Note 9, there’s a heart rate monitor as well, which is a quirky little extra. When it comes to the cameras, the setup is pretty similar. Both Notes have wide angle selfie cameras, coming in at 8MP, and dual 12MP cameras on the rear. That’s not to say that the cameras aren’t impressive in themselves – Samsung always has a range of great photography features. The Note 9 has been treated to a few upgrades, though. There’s the dual optical image stabilisation, a higher performance camera sensor, and a better aperture, which means that you should be able to capture great quality images no matter what the lighting situation is, or where you happen to be. Here’s where Samsung has made some serious upgrades. The Note 8 features a Samsung Exynos 9 Octa 8895 chipset, whereas the new and improved Note 9 boasts a Samsung Exynos 9 Octa 9810. But that’s not all. The storage has seen a major boost, too. The Note 8 starts at 64GB for the standard model, while the Note 9 offers 128GB minimum, and can be extended by a further 512GB with a little help from a microSD card. The battery has been given the special treatment. On the Note 8, the capacity stands at 3300 mAh, which is blown away by the Note 9. The latest device packs a whopping 4000 mAh battery, which is the biggest we’ve ever seen on a Note series phone. Right now, Samsung Galaxy Note 8 is on offer at its best ever price with Buymobiles.net. You can pick yours up with a massive 45GB data for just £43 a month. It was £149.99 upfront but is now £0 for a limited time. 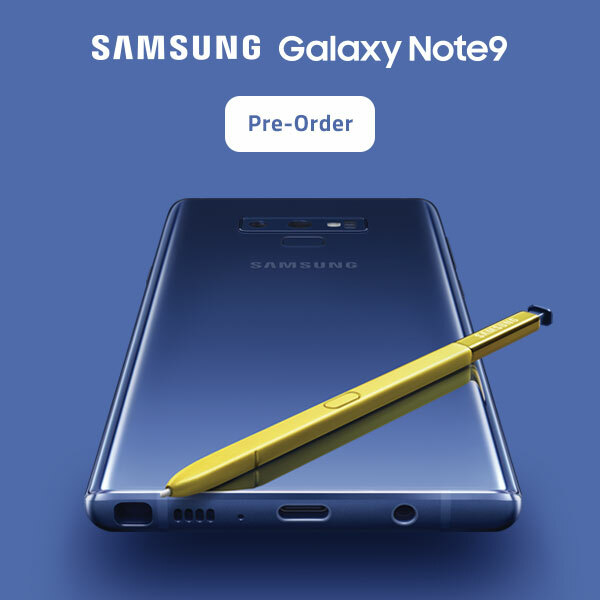 As for the Galaxy Note 9, you can pre-order one today ahead of the official launch on 24 August. The hottest deal over at Buymobiles.net is with 10GB data for just £53 a month. Nothing to pay upfront. 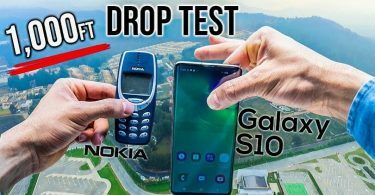 There’s no doubt that the Samsung Galaxy Note 9 has been upgraded in all manner of ways. From the new S Pen (amazing!) to the changes that the company has made to Bixby. Whether it’s worth the extra cash depends on what you value, but you will be getting more for your money with the latest Note phone.